Just 20 cards to go, as card #580 joins the Hoard. 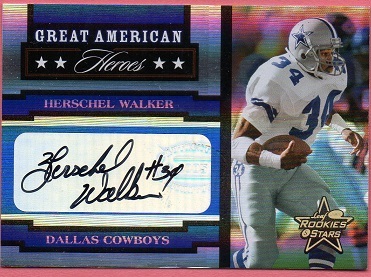 This is the autographed version of the 2005 Leaf Rookies and Stars Great American Heroes set. The price for this was all over the map, with one guy asking $95. I ended up getting this one for $39. 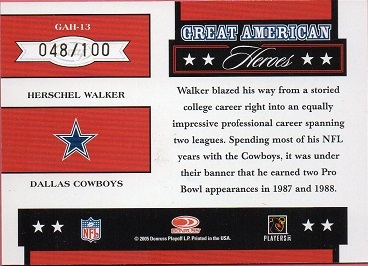 The card is serially numbered to 100, with this being #48.